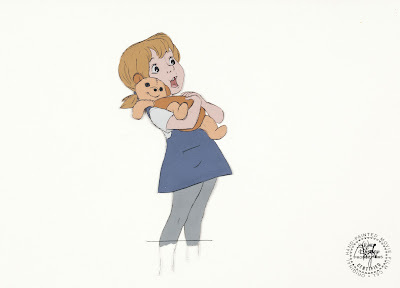 I believe that this cel represents one of the earliest scenes animated featuring Penny from The Rescuers. 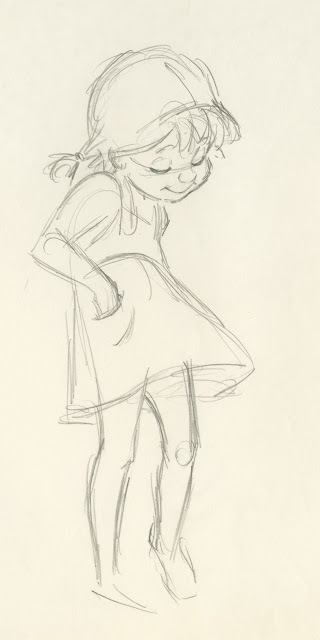 Ollie Johnston started animation on Penny as she interacts with Rufus, the cat, in the orphanage. 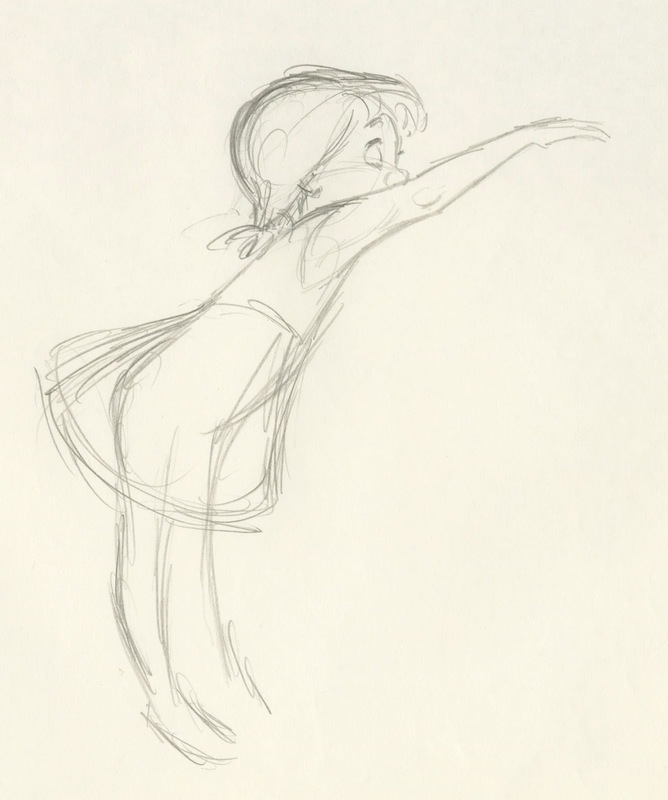 In the rough drawings below she is offering the cat a cookie. 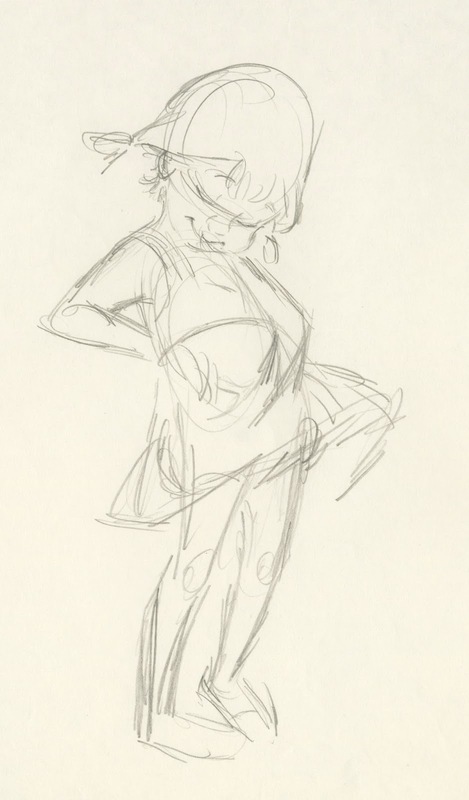 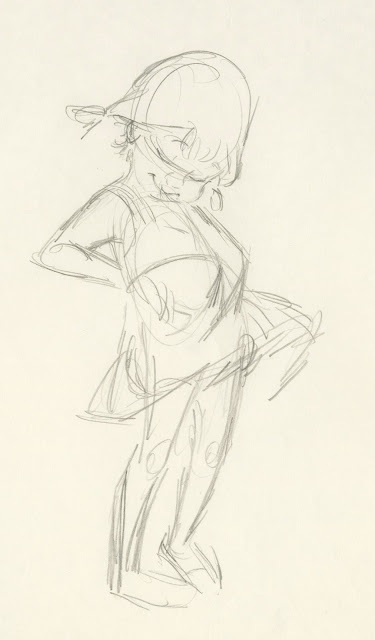 These were actually done by Milt Kahl, who gave Ollie a helping hand as far as character design and solid drawing goes. 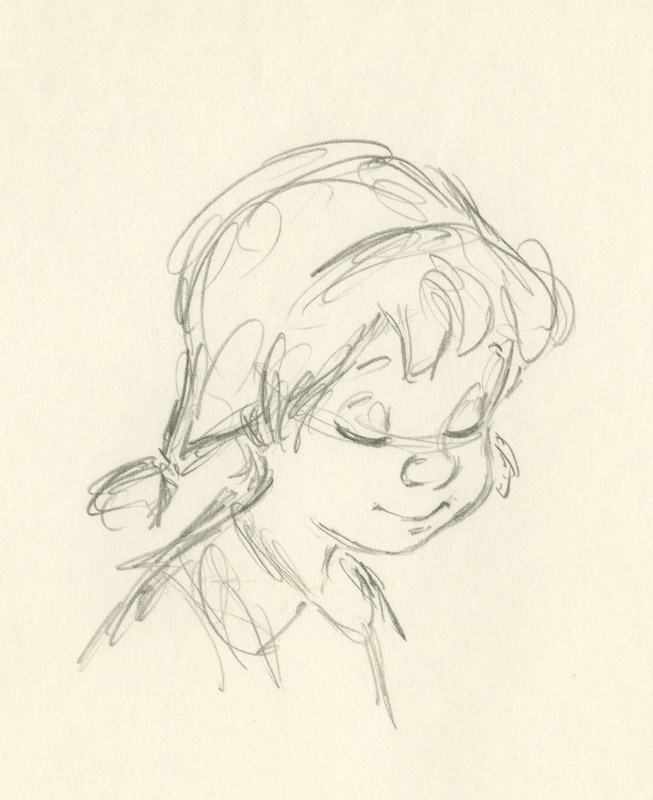 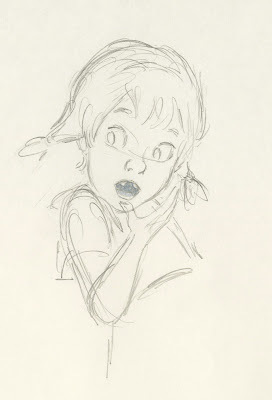 Wonderful sketches, even though it's obvious that Penny is related to Mowgli. 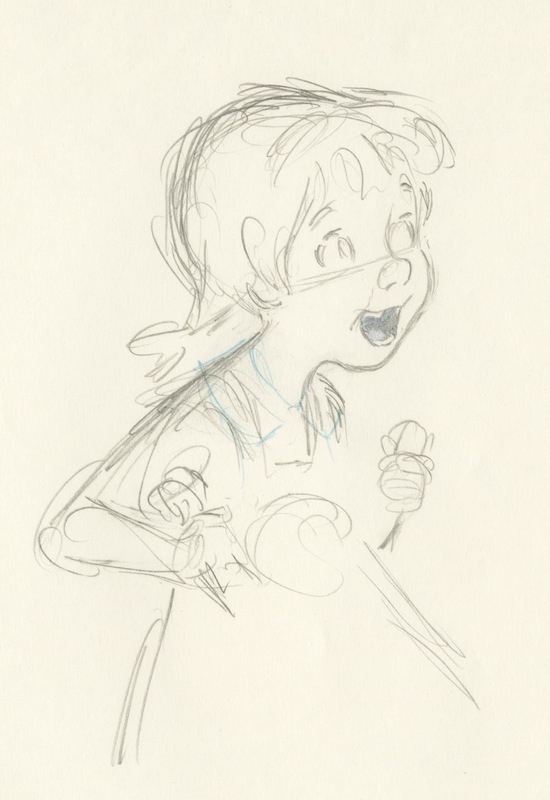 This rough drawing is from one of Milt's own scenes toward the end of the movie. 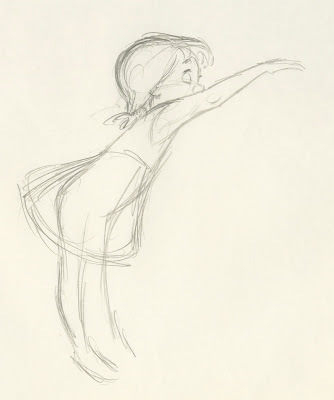 Snoops had just pulled Penny out of the cave below, when he suddenly lets go of the rope. 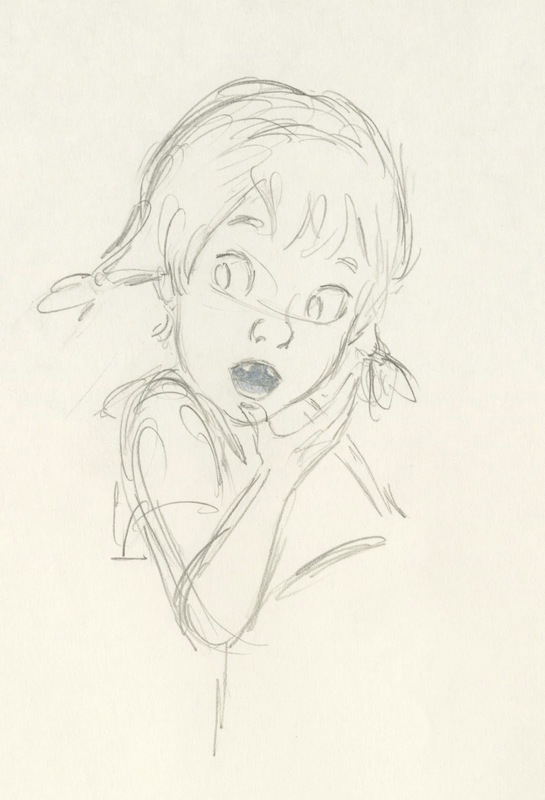 His excitement and attention is now with the diamond that Medusa is holding. When drawing this rough, Milt's enormous power for analyzing and staging a character comes to the surface.